Make daily planning an adventure! Keep your best ideas and to-dos in a pretty place. This handy 3-pack of softcover Quilts Notebooks (each 64 pages) is perfect for designing quilts, note-taking, bullet journaling, sketching, and daily planning. Enjoy flexible scheduling with assorted paper styles in each pad—dotted grids, graphs, lined pages, and blanks. 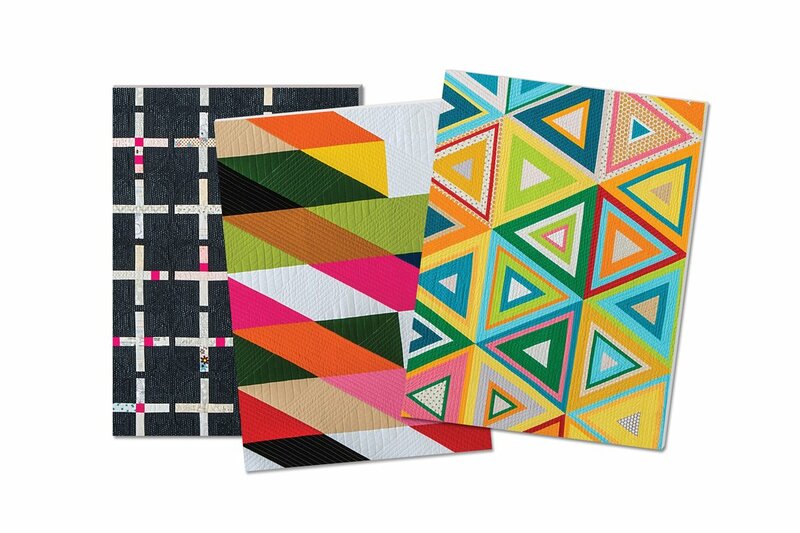 Colorful artwork on the three different covers will appeal to quilters and those who love modern design. Keep one and share the other two with friends!